Grayson Farm has 3 barns with a total of 16 stalls available to boarders. All stalls have full mats, automatic waterers (heated for the winter) and fans (for the summer). 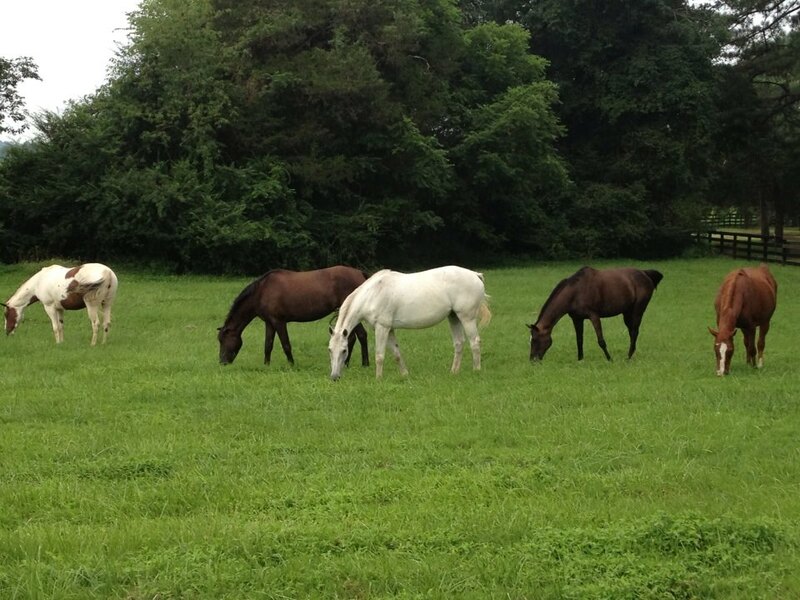 All horses have ample turnout into grassy fields with a group of other horses. During the summer, horses are brought into their stalls in the morning and stay in the barn under fans for the heat of the day. Then are turned out in the evening into grassy fields. The winter schedule is horses are turned out in the morning and are out all day in their field. Then are brought into the barn in the evening for the night out of the cold weather. Blanketing is provided for those who want to blanket their horses. Run In shelters are available in all fields with fans for the summer. All outside water tanks have de-icers in them so the water never freezes and keeps the water a desirable temperature to avoid the problems of horses not drinking enough. All horses are turned out in small groups. Mares and Geldings separated. Blanketing, fly sheets and fly masks will be put on and taken off at owners request. Board includes twice a day grain, hay, turnout, stall with shavings, and use of facilities. Field board and individual turnout is limited. Full Board: $650. per month.